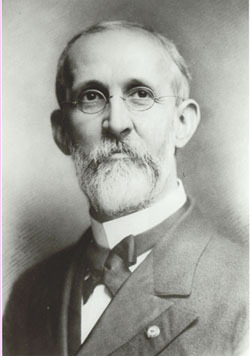 The first ophthalmologist in the Vanderbilt University School of Medicine was Dr. Giles C. Savage. Dr. Savage was born in Mississippi in 1854, and received his medical degree from Jefferson Medical College in Philadelphia in 1878. After two years of post-graduate work in ophthalmology in London and Vienna, he returned to Tennessee to practice. He was one of the founding professors of the Vanderbilt School of Medicine and delivered the first commencement address. In 1886, he was appointed Professor of Ophthalmology and held that position until retirement in 1911. After Dr. Savage retired, there were several prominent local ophthalmologists who served as faculty within the division. In 1934, Henry Carroll Smith, M.D. took over as the Director of the teaching program in Ophthalmology at Vanderbilt University, and he became Professor of Clinical Ophthalmology and Head of the Division of Ophthalmology in 1955. 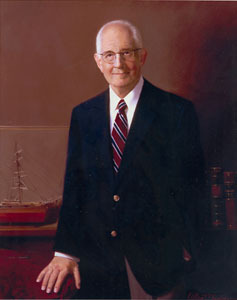 The resident training program in ophthalmology was begun in 1957, and was granted full approval in 1962 under the guidance of George W. Bounds, M.D. In 1966, James Elliott, M.D. became the first full-time faculty member in the division of ophthalmology since Dr. Savage. Dr. Elliott was appointed Director of the Ophthalmology Training Program, which at that time trained two residents per year. This number was increased by Dr. Elliott to three per year. Under Dr. Elliott’s leadership, the Drs. Elliott and Steven Andrews received Vanderbilt’s first NIH vision research grants. Departmental status was granted in July, 1970 and Dr. Elliott was named inaugural Chair. 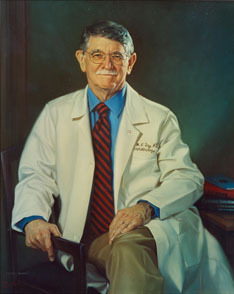 On Dr. Elliott's retirement from the Chair in 1992, Denis O'Day, M. D. was appointed to the position. Under Dr. O’Day’s leadership, the Department grew considerably to include full-time faculty in each subspecialty: retina, glaucoma, cornea and external disease, pediatric ophthalmology, oculoplastics, and neuro-ophthalmology. The residency program increased to four residents per year. Dr. O’Day supported Dr. Karla Johns as Chief of Ophthalmology at the Nashville Veteran’s Administration Hospital, and oversaw the transition in leadership at the VA to Dr. Amy Chomsky. Under their leadership, Dr. Johns and Dr. Chomsky established the VA as a wonderful venue for resident education, fighting for better facilities, operating rooms and equipment. Dr. O’Day also reestablished a relationship between the Vanderbilt ophthalmology training program and Metropolitan Nashville General Hospital. As a pioneer in the Vanderbilt-Meharry Alliance, Vanderbilt ophthalmology residents returned to “the General” as they had for many years in the past when the hospital had been located downtown. In addition, Dr. O’Day recruited the Department’s first full-time Director of Research, John S. Penn, Ph.D. Reflecting a greater emphasis on scholarship, the Medical School renamed the department: Ophthalmology and Visual Sciences. Dr. O’Day was instrumental in recruiting Dr. J. Donald M. Gass, the world’s preeminent medical retina specialist, to join the Vanderbilt faculty after his retirement from the faculty at the Bascom Palmer Eye Institute. Prior to his death in 2005, Dr. Gass continued to provide expert retina consultative services and train residents and fellows. Dr. O’Day’s tenure also saw the establishment of the Vanderbilt Ophthalmic Imaging Center (VOIC) and the Vanderbilt Laser Surgery Center. 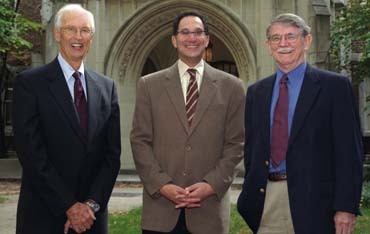 From left to right: James Elliott, M.D., Paul Sternberg, Jr., M.D., Denis O'Day, M.D. In January, 2003, Paul Sternberg, Jr., M.D. relocated from Emory University to succeed Dr. O’Day as Chairman. Since that time, the Department has expanded the clinical faculty, such that each discipline has more than one physician. In addition, the research faculty has grown considerably, with the opening of additional new vision research laboratories in Medical Research Building IV. In the fall of 2006, the department received a gift from Dr. and Mrs. William Snyder to establish an endowed chair for the Director of Research, Dr. John Penn. 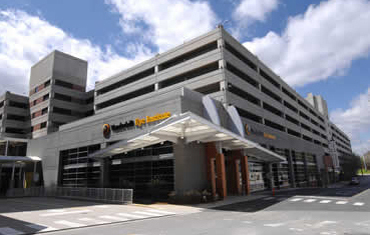 In order to accommodate the sizeable increase in outpatient volume, our new facility opened in 2008 to house the clinical operations of the Vanderbilt Eye Institute. This building consolidates the adult and pediatric clinical practices, as well as increasing designated space for educational programs, the clinical trials unit, business office, and departmental administration. For many years the department has had a strong association with the Lions Clubs of Middle Tennessee. The lions founded the Eye Bank at Vanderbilt in the 1960’s and through the Middle Tennessee Lions Sight Service, supported the care of indigent patients (children and adults) treated at Vanderbilt University Hospital. In 1993, the Lions again demonstrated their commitment with their decision to fund a clinic devoted to eye care for children at Vanderbilt.